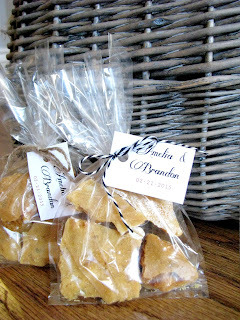 For the table centerpieces, I started with wooden boxes that I got at Michael's. 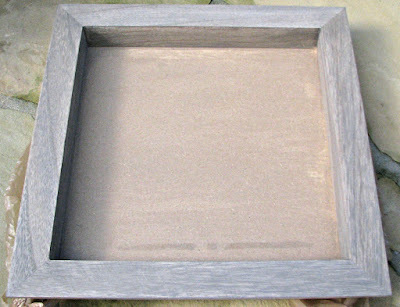 I stained each one in weathered gray. 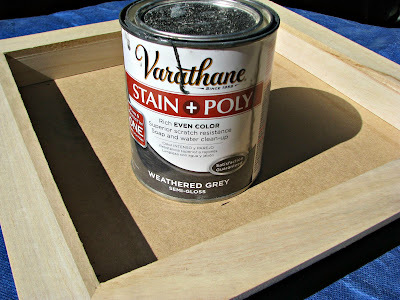 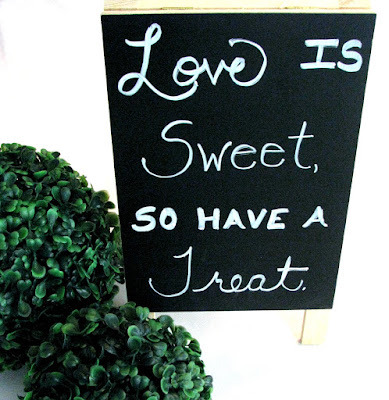 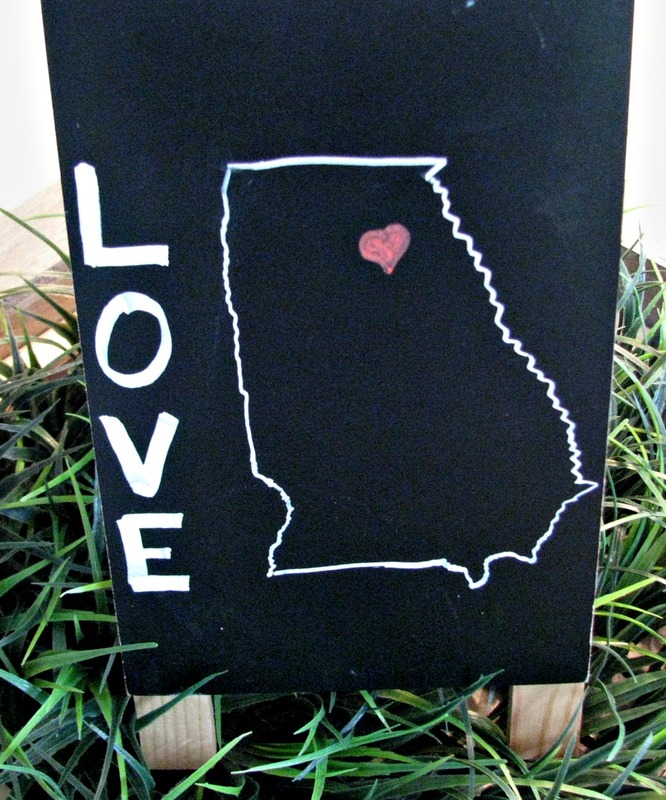 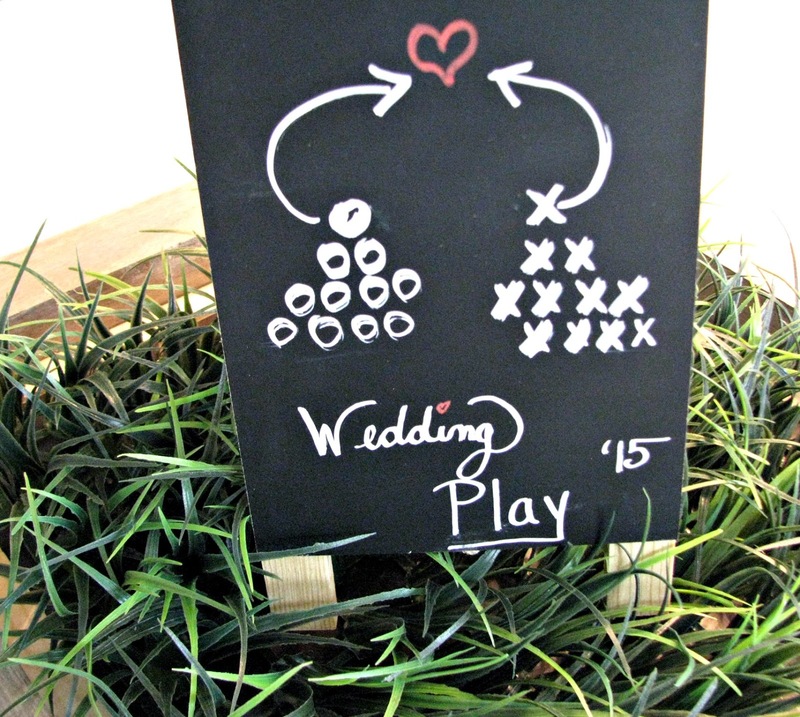 Each wooden box, was layered with a grass placemat (these can be found at Hobby Lobby and other craft stores around Easter time) and a chalkboard with a football play or quote. 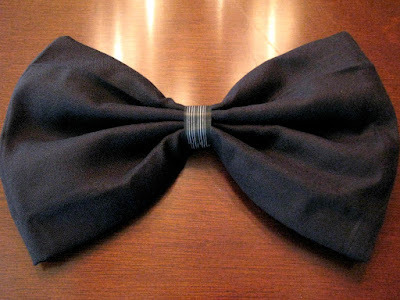 Napkins in the shape of bow ties were placed at each place setting because my brother always wears bow ties to the games. You can learn how to fold bow tie napkins in this post: Bow Tie Napkin Fold. For the menu, they wanted barbecue and old-fashioned glass bottled Cokes. 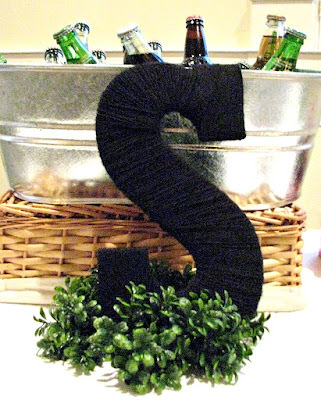 In keeping with the Georgia Bulldog colors, I used black and white wrapping paper as a runner down the white tablecloths. 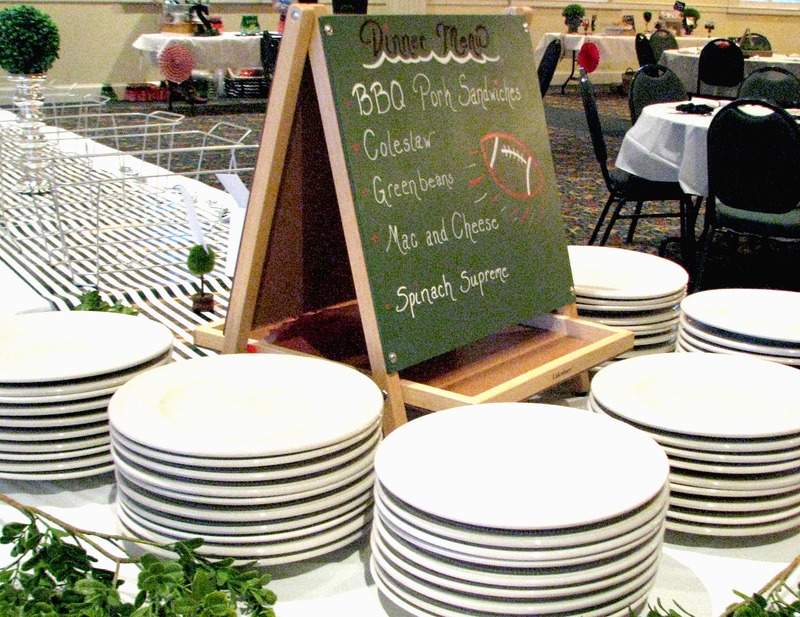 Since the 'Dawgs play "between the hedges," I used a variety of boxwood decor on the buffet table. 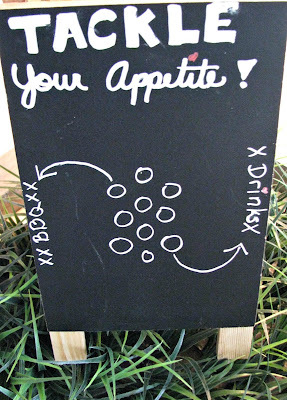 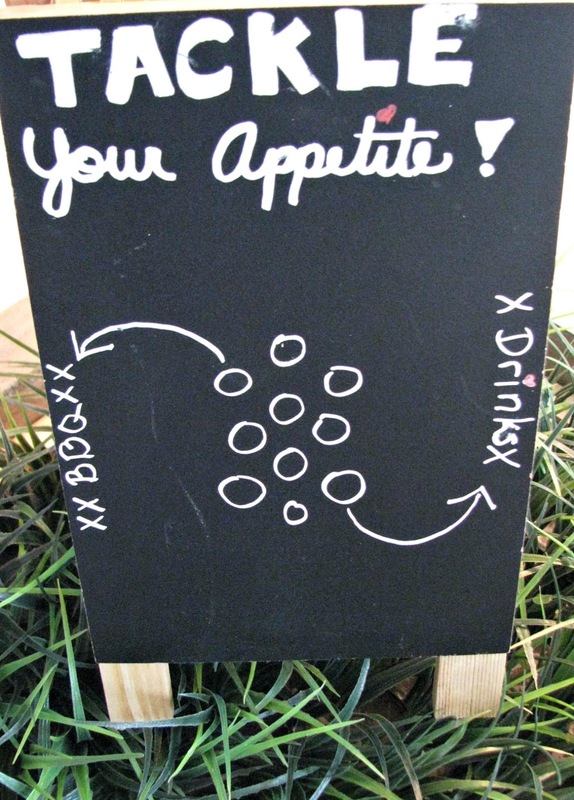 A chalkboard menu started the buffet line so that everyone would know their choices. 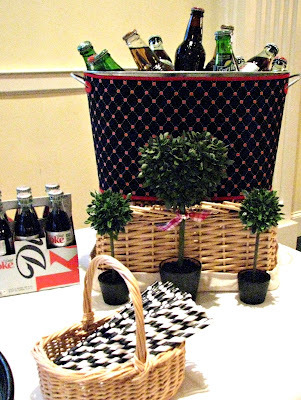 The glass bottled Coke varieties were served cold from chrome drink tubs which were accented with red and black, more boxwood, a yarn wrapped monogram S, and tailgate picnic baskets. 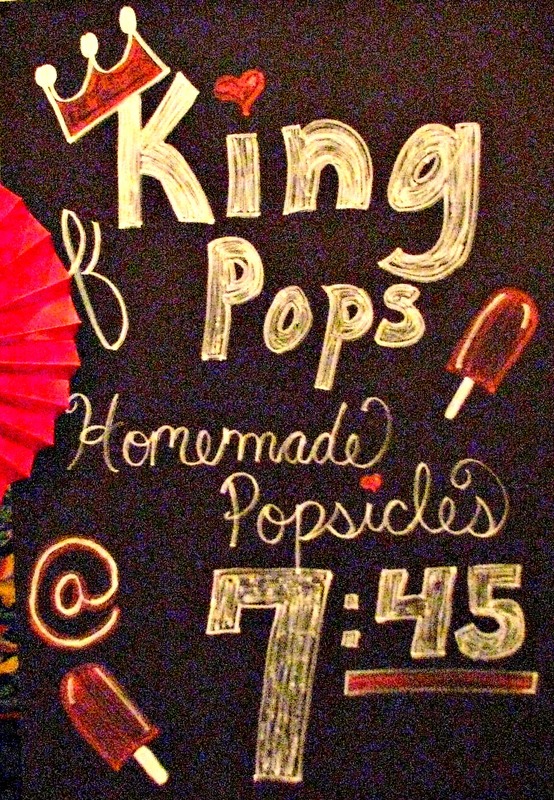 For the dessert buffet, my mom made a variety of yummy treats, but one of the highlights was hiring our local, handcrafted popsicle cart, King of Pops, to roll their cart right into the venue to serve the guests their ice cream of choice: sea salt caramel, Arnold Palmer, grapefruit mint, banana pudding, or key lime pie. 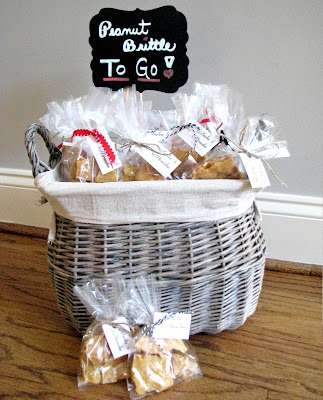 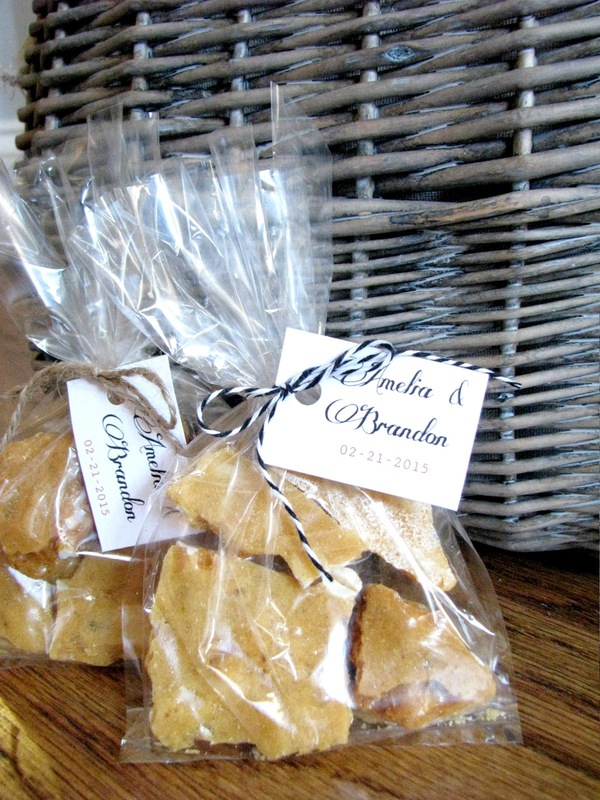 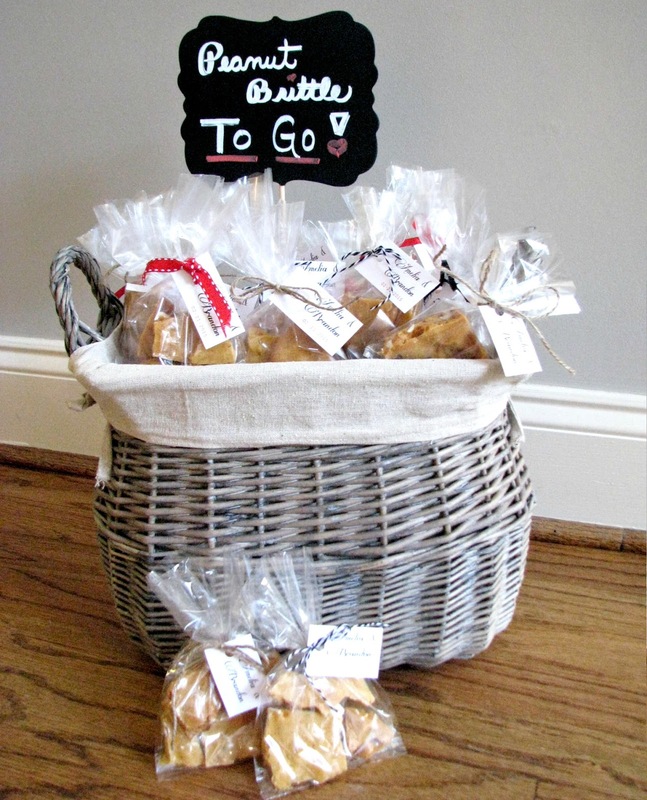 Our Southern hospitality just wouldn't let the guests go home empty handed, so we sent everyone away with homemade peanut brittle made by my mother-in-law. 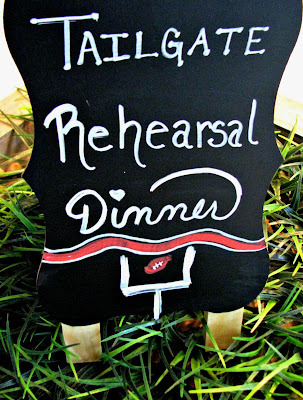 It was a fun night "between the hedges" celebrating our football tailgate loving bride and groom. Thanks so much!! It was fun coming up with football party ideas.